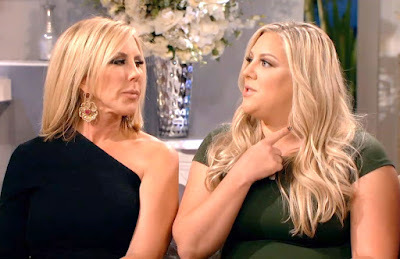 iRealHousewives | The 411 On American + International Real Housewives: Vicki Gunvalson Explains Why Her Daughter Briana Culberson Won’t Appear On RHOC! Vicki Gunvalson's daughter Briana Culberson has appeared on every season of The Real Housewives of Orange County since its premiere back in 2006. However, this year, Briana along with her husband Ryan and their two kids, Troy and Owen will not appear on the show this season. If you recall, after Season 12 wrapped, Briana and her family moved to North Carolina. Will you miss seeing Briana on RHOC? Sound off in the comments below!